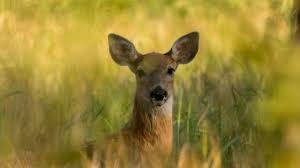 (Beyond Pesticides, March 22, 2019) A two-year study, published March 14, finds that field-relevant contamination with the neonicotinoid insecticide imidacloprid causes reduced body weight and metabolism in white-tailed deer, and – in fawns – mortality. Remarkably, researchers uncovered imidacloprid levels in free-ranging deer a full 3.5 times higher, on average, than the levels in the animals treated in their experiment. These new findings add to the mounting evidence of the hazards posed by current patterns of neonicotinoid use, while evidence of benefits remains sparse. The study, published in Nature Scientific Reports, includes two years of data on the physiological and behavioral outcomes of imidacloprid contamination in 80 white-tailed deer housed in a South Dakota State University captive research facility. Notably, researchers were unable to entirely control imidacloprid levels in untreated deer, most likely due to background contamination from corn- and soy-based feed, and surrounding vegetation infiltrated by runoff from nearby agricultural fields. This background contamination altered, but did not compromise, the analysis. Researchers found that imidacloprid levels detected in the spleens of treated and control animals were significantly predictive of reduced thyroid hormone levels, shorter jawbones, lower activity levels, and higher fawn mortality. While open questions remain, this latest study adds yet another file in the case against the expanding and under-regulated use of systemic insecticide treated seeds, now the dominant form of neonicotinoid delivery affecting tens of millions of hectares of treated U.S. land per year. There is substantial evidence that neonicotinoids, as they are currently used, cause harm to wildlife, including mammals, as well as birds, insect pollinators and other beneficial insects, and aquatic invertebrates. Neonicotinoids are most infamous for their well-documented role in driving mass pollinator declines. However, pollinators are far from the only victims of ubiquitous neonicotinoid contamination. In a recent avian risk assessment, EPA scientists found that neonicotinoids present in treated seeds exceeds the agency’s level of concern for certain birds by as much as 200-fold. A 2017 study by researchers at the University of Saskatchewan confirmed that tiny amounts of neonicotinoids – the equivalent of just four treated canola seeds, for example – are enough to cause migrating songbirds to lose their sense of direction and become emaciated. Because neonicotinoids persist in soil and easily become airborne, the chemicals spread far beyond target crops and can contaminate nearby plants, soil, and water, thus posing far-reaching threats to wildlife. An EPA aquatic risk assessment for imidacloprid, released in 2017, found that imidacloprid threatens the health of U.S. waterways with significant risks to aquatic insects and cascading effects on aquatic food webs. Neonicotinoids contaminate over half of urban and agricultural streams across the U.S. and Puerto Rico, according to a report by the U.S. Geological Survey (USGS) that expands on a previous study finding the chemicals in Midwest waterways. Treated seeds have dramatically altered the landscape of pesticide use and pesticide contamination in the U.S., yet their use goes largely undocumented and unregulated due to an EPA regulatory loophole. The introduction and spread of seed-delivered pesticides to major field crops beginning around 2003 caused a massive increase in total neonicotinoid delivery nationwide; a 2015 review of USGS survey data found that 79 to 100% of maize acres and 34 to 44% of soybeans preemptively seed-treated with neonicotinoids by 2011. As of 2014, total neonicotinoid use in the US was estimated at 3.47 million kg, representing a 46-fold increase over pre-2003 annual application rates. Alarmingly, over that same period of rapid expansion, multiple studies have demonstrated that neonicotinoid seed treatment does little to mitigate target pests. A significant body of research, including EPA studies, have found that neonicotinoid seed treatments provide little to no benefit to farmers. An assessment published in 2018 by an international team of scientists found that an alternative insurance model could easily replace the need for farmers to purchase expensive neonicotinoid-coated seeds. Beyond Pesticides holds the position that the widespread and unchecked expansion of neonicotinoid use is unacceptable. The well-documented risks of neonicotinoid seed treatment far outweigh the unsubstantiated, and in large part disproven, claimed benefits. The time is now to demand firmer regulation of all forms of neonicotinoids, including the vast majority delivered through currently unregulated treated seeds. Act now, and tell your Congressional delegation that EPA must fully regulated treated seeds to protect the environment and public health. This entry was posted on Friday, March 22nd, 2019 at 12:00 am	and is filed under Agriculture, Environmental Protection Agency (EPA), Imidacloprid, neonicotinoids, Uncategorized, Wildlife/Endangered Sp.. You can follow any responses to this entry through the RSS 2.0 feed. You can skip to the end and leave a response. Pinging is currently not allowed.